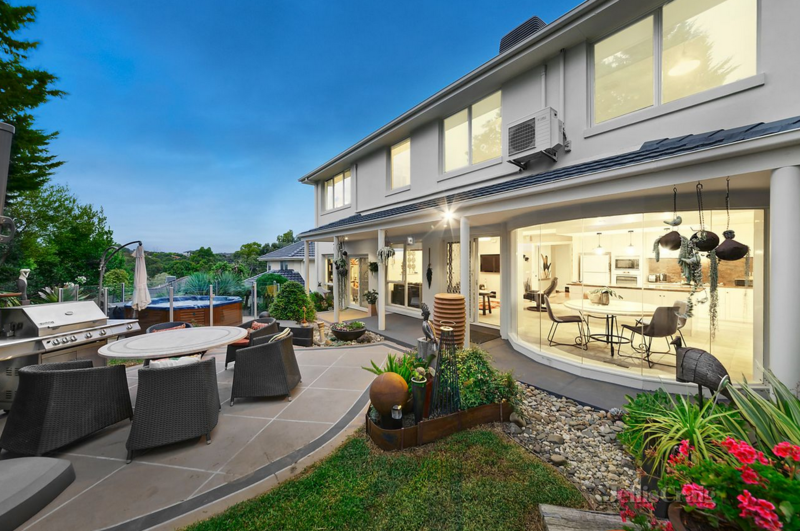 A high-side sensation saturated in natural light and enveloped in incredible landscaped gardens, space abounds in this modern renovated family home. Nestled in a blissfully quiet premium pocket neighbouring similarly crafted prestige homes. Flexible and functional living embraces a formal lounge/dining domain. 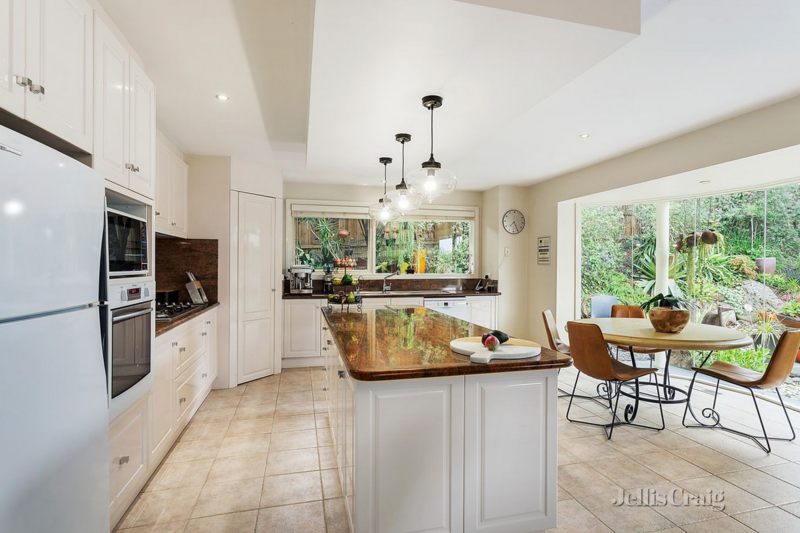 A separate open plan gourmet granite kitchen/meal equipped with electric oven, gas cooktop (wok burner), dishwasher and WI pantry, is enhanced by 3 gorgeous lantern inspired pendant lights. Full length bay windows reflect leafy views of an entertainer’s paradise. Host guests in the adjoining family zone with BOSE speaker system or separate rumpus with BI bar. Extending to a paved alfresco area and glass fenced spa with low maintenance private rockery garden for the ultimate everyday luxury. Displaying 5 spacious bedrooms, BIRs, including guest room on ground floor, enhanced by 2 bathrooms (main sep WC) and a powder room. The master is elegantly attired with WIR and dual vanity ensuite boasting spa bath, large shower and green neighbourhood views. A separate retreat/theatre room exemplifies the fabulous space provided for all the family to unwind. 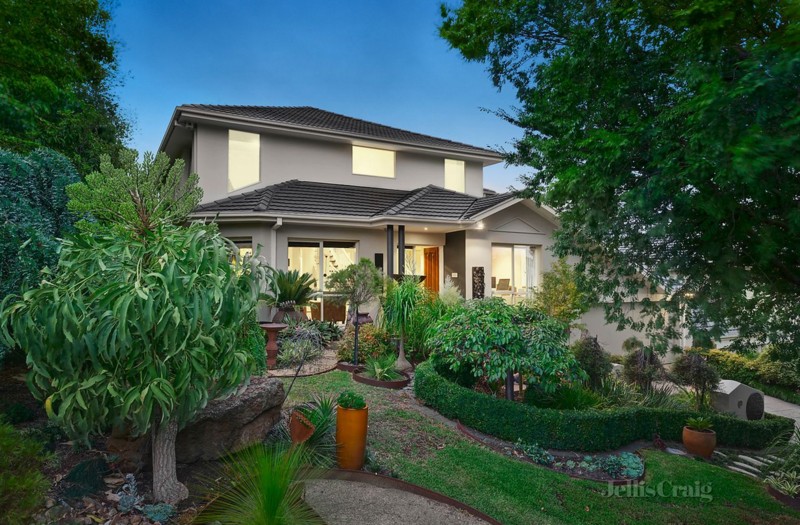 A short stroll to The Pines Shopping Centre, Tikalara Park and a network of walking tracks and sports facilities. 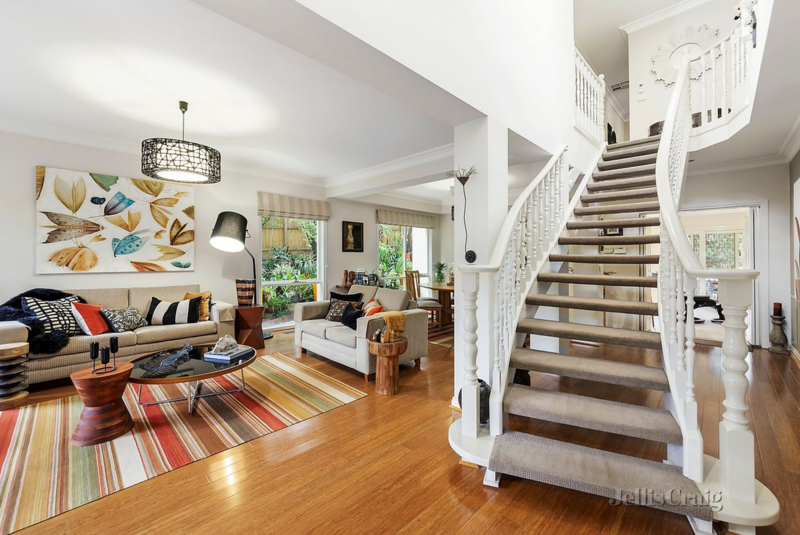 Minutes to Mullum Mullum Stadium, Templestowe Village and the Warrandyte/Yarra River precinct. Close to quality schools incl Milgate PS, Serpell PS, Our Lady of the Pines PS and Carey Grammar. Handy to Westfield Doncaster, city and private school buses and the freeway. Additionally, offering GDH, evap cooling, split system reverse cycle in all bedrooms, Roman blinds, linen cupboard, security alarm, laundry, underhouse storage, garden art, ducted vacuum, watertank and DLUG with internal entry.